change, since they privilege competition over cooperation, individual effort over collective action, and short-term results over the necessarily patient, long-term support required for the messy and unpredictable process of fundamental social transformation. Moreover, the increasing concentration of wealth and power among philanthrocapitalists is unhealthy for democracy--the phenomenon is itself a symptom of a disordered and profoundly unequal world. 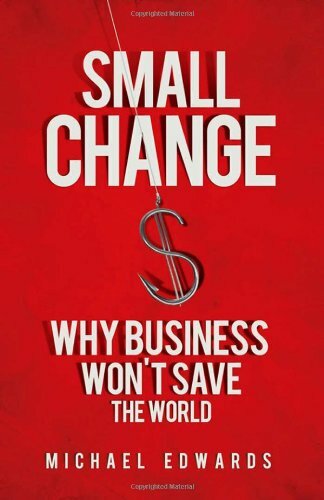 Ultimately, Edwards argues that the use of business thinking can and does actually damage civil society. It's time to differentiate the two and re-assert the independence of global citizen action.